Keith Deaven is one of the co-founders and leaders of Mediabarn, a dynamic and innovative company based in Arlington, VA that houses a user interface and experience practice, a creative studio, and a creative placement agency all under one roof. As CEO and co-founder, Deaven has led Mediabarn through nine successful years, turning the organization into an interactive powerhouse. Some of Mediabarn’s clients range from government organizations such as the U.S Army and the National Institute of Health to some of the world’s most widely recognized media brands including Discovery Communications, National Geographic, The Better Business Bureau, and AARP. In addition, Mediabarn specializes in education-focused software products, providing research and design services to organizations such as Pearson, K12, Discovery Education, and PBS. 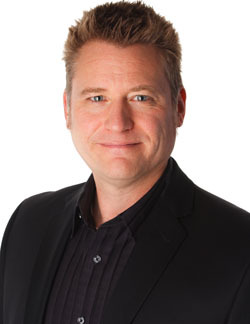 Deaven began his interactive career at America Online during its years of significant growth in the mid-1990’s. His experience at AOL taught him the essential elements needed to design and build world class interactive products. Deaven is a 1990 graduate of the College of Liberal Arts at Penn State with a degree in Labor & Industrial Relations.